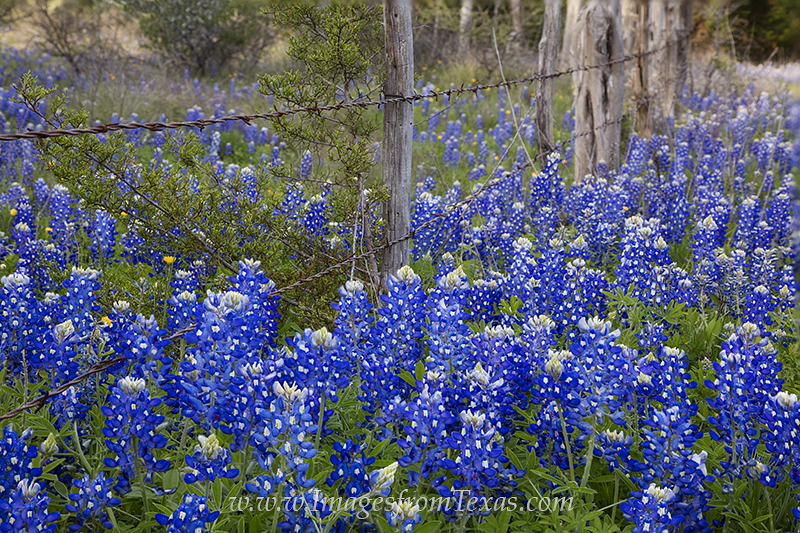 Along a dirt road in Blanco County, bluebonnets grow beside a barbed-wire fence. In 2016, roadsides were covered in bluebonnets and paintbrush, and this scene was fairly common in the Texas Hill Country. Photo © copyright by Rob Greebon.